There is any easy way to create your own unique lighting decor at home - and, no, we aren't talking about the soda can lamps from middle school shop class. 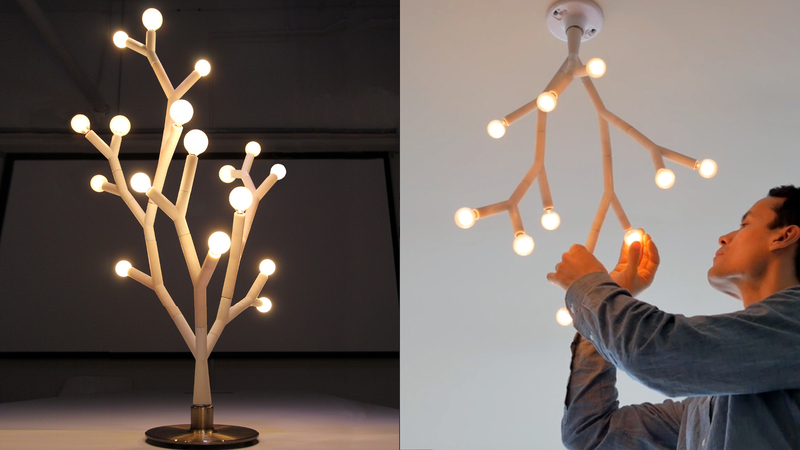 Splyt Light's nifty modular design allow anyone to easily piece together lighting fixtures that double as works of art. Developed by Jason Krugman and Scott Leinweber, the Splyt light works as a puzzle only limited by how far one’s imagination can stretch. Elaborate chandeliers or simple table-top lamps come together with a few twists from Y-shaped plastic connectors. Because the Splyt light can accommodate most bulbs, users get to decide the shade of light and brightness their creations emit. Developed by Jason Krugman and Scott Leinweber, the Splyt light works as a puzzle limited only by how far one’s imagination can stretch. 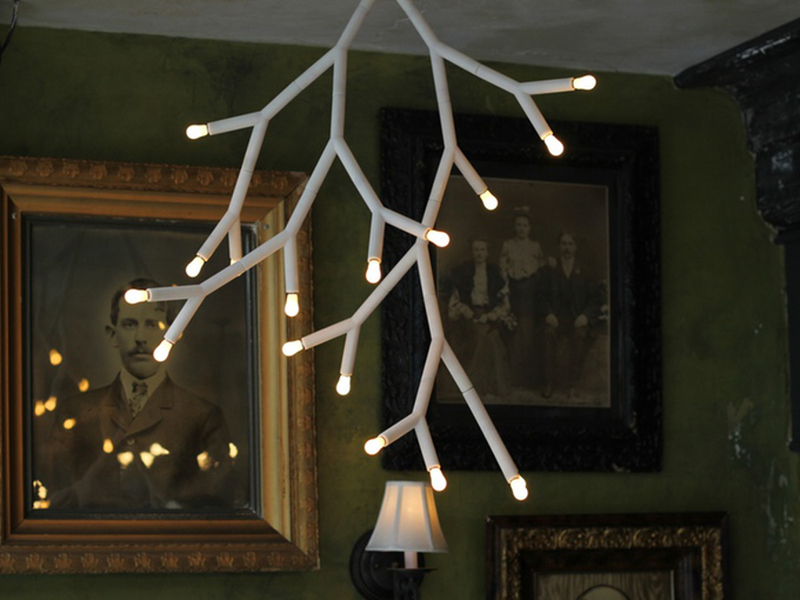 Elaborate chandeliers or simple table-top lamps come together with a few twists from Y-shaped plastic connectors. Because the Splyt light can accommodate most bulbs, users get to decide the shade of light and brightness their creations emit. A Kickstarter campaign a long time in the making offers the first chance to own a Splyt light, which is available in three different kits: Starter Kit, Smarter Table Kit, and Expansion Kit.